Binham Grange is a unique Jacobean house of great antiquity, offering good food and luxury accommodation with a personal touch. Mentioned in 13th century in association with Cleeve Abbey it is surrounded by 300 acres of some of Somerset's most beautiful countryside. 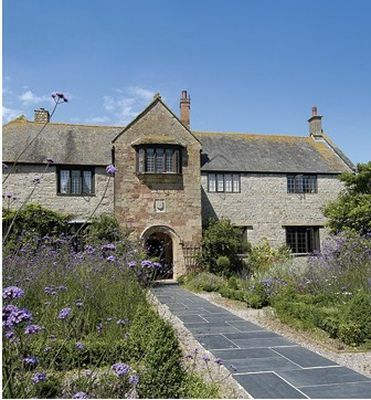 Marie, Stewart and family have lovingly and tastefully restored the house and gardens to their former glory, while retaining the integrity of the former house and bringing it up to 21st Century comfort Original features remain throughout including the Tudor alabaster arches, solid oak doors and Jacobean frieze. The bedrooms at Binham are individually decorated and contain antique furniture, a selection of books, and flowers from the garden. The rooms enjoy excellent views of the gardens which are tended by Marie and Stewart who are keen gardeners creating an outdoor haven for the guests to enjoy. The formal Jacobean parterre to the front of the house is east-facing with a collection of unusual plants. To the south is a pergola with scented roses which leads to an Italian style garden and a vegetable, herb and cutting garden used in the house. To the west of the garden terrace, flower borders lead to the traditional orchard and the broader landscape beyond. There are Moroccan, Italian and Celtic influences cropping up in both décor and food. The perfect place for a romantic dinner for two or for a magnificent banquet for thirty two! The restaurant is located in the Great Hall with its high ceilings, long windows and a Welsh oak dresser.